Welcome to the ‘in between’ season; it’s not quite Spring weather but not really winter either. Nothing is growing here in Alberta and though I’m told things are greening up in BC (lol!) it’ll be a while before we see the first of the Spring edibles in our province. 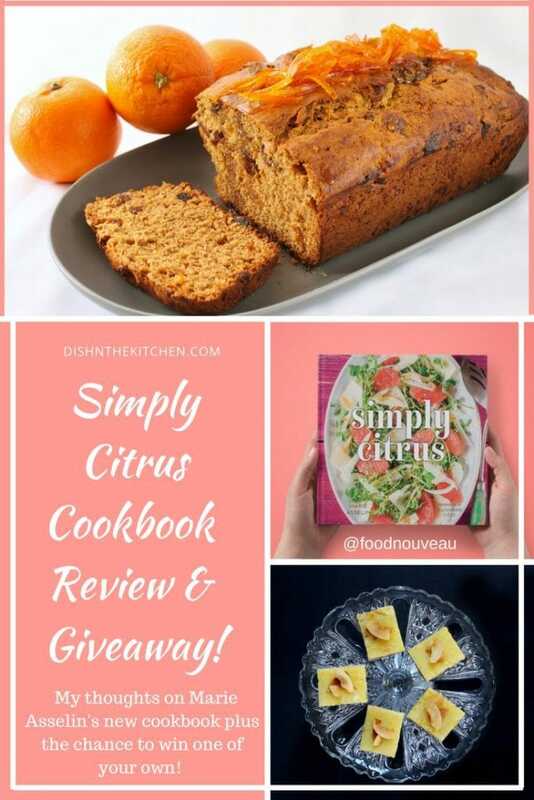 In the meantime a ray of sunshine landed in my mailbox…Simply Citrus is the new cookbook by Food Bloggers of Canada member Marie Asselin. She’s the creative force behind the award winning food blog Food Nouveau a Québec City based blog that has been around for 17 years! Her brilliant photography and drool-worthy recipes caught the eye of a publisher and as they say…the rest is history! I’m going to grab a blanket, hot tea and enjoy this little piece of sunshine on an otherwise dreary day. Come and join me! 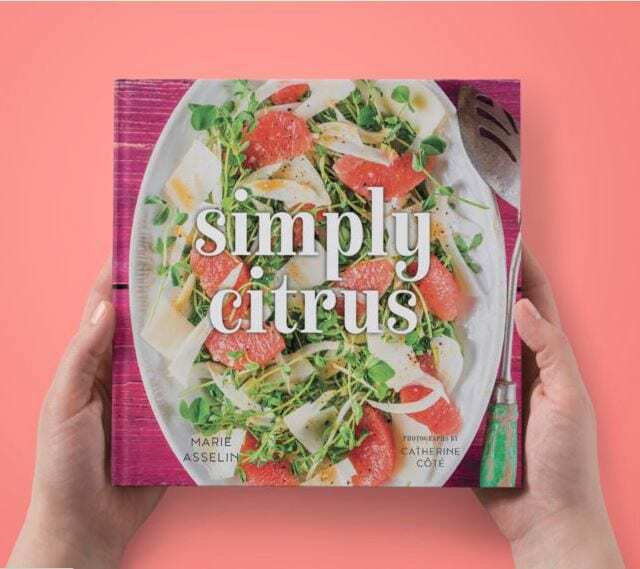 Simply Citrus is a bright and cheery single subject book featuring the common citrus types that we can buy here in North America. Eating seasonally is both healthful and delicious but no season is as meaningful to me as citrus season. When we begin to see fresh citrus in the dark grey days of winter, it’s comparable to feeling little rays of sunshine on your skin. 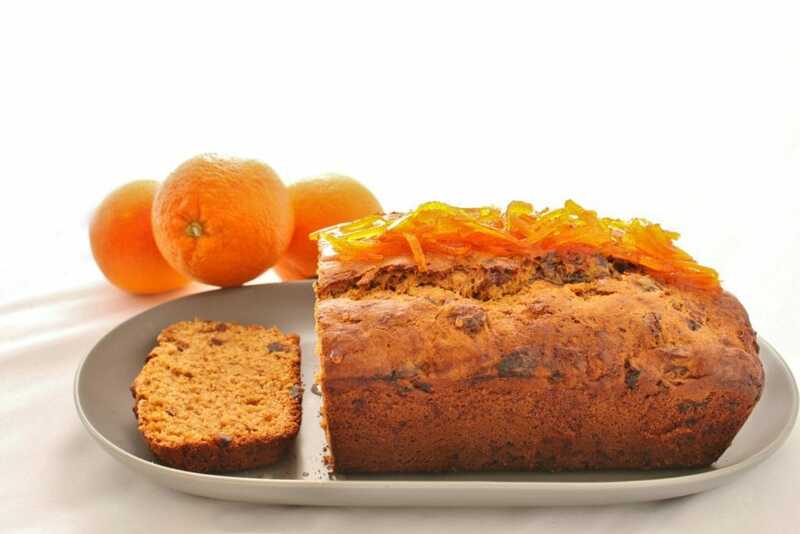 Simply Citrus has over 60 great recipes that capture this same feeling…both savoury and sweet! 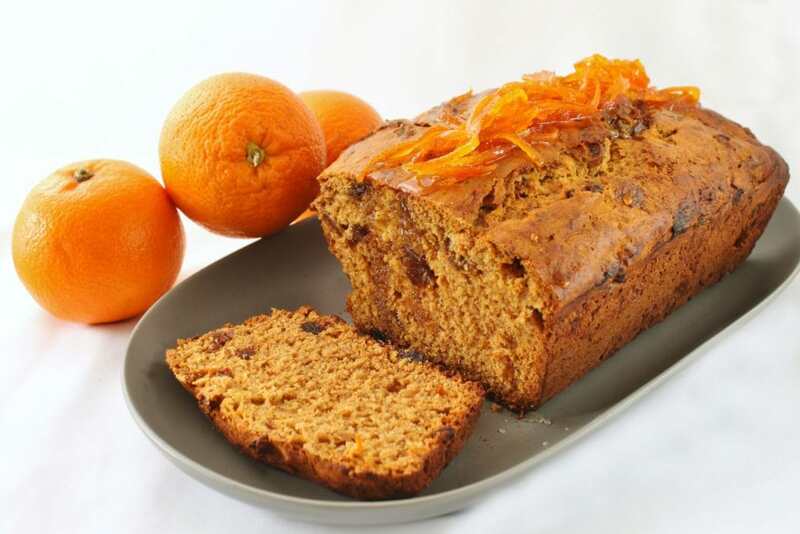 Each chapter contains recipes from a single fruit so if you have an excess of oranges…just head on over to the ‘orange’ chapter and you’ll find orange themed recipes such as Orange and Ginger Pork Slides with Peanut Slaw and Orange, Date, and Walnut Cake with Orange Butterscotch Sauce. I couldn’t resist the latter recipe so I baked it for this review. Marie has begun the book with some useful basics such as her method for candied peel (see photos above and below for the results!) and how to preserve lemons. Did you know you can make curd out of any kind of citrus? 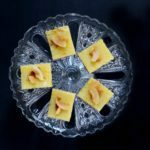 Aside from the more popular lemon and lime curds, Marie gives directions for grapefruit, key lime, yuzu, meyer lemon, and orange curds then uses them in other recipes such as her Sesame Thumbprint Cookies with Yuzu Curd. Don’t those sound delicious? A quick flip through the book revealed many eye catching recipes that I would love to try at a later date; such as the Curried Coconut, Lentil, and Shrimp Soup (Lime chapter), Blood Orange Frangipane Tart (Orange Chapter), and the lovely Caramelized Lemon and Fennel Risotto (Lemon Chapter). For the purposes of this review I chose two recipes from the recommended list: Orange, Date, and Walnut Cake with Orange Butterscotch Sauce (page 69) and Coconut Lemon Bars (page 32). The Orange Walnut Cake was relatively simple to make on it’s own but I found the extra steps…well, just extra. I made it as far as the candied orange peel and left out the Butterscotch Sauce. I felt like the cake had enough flavour without it and though I love a good butterscotch sauce I’m going to be honest and admit that I just ran out of time. This recipe is more of a weekend project I think, but still totally worth it! This was the first time I had candied citrus peel and Marie’s instructions were simple and easy to follow. I was very happy with the end result and the portion that didn’t end up on the cake was used on our toast in the morning as marmalade. 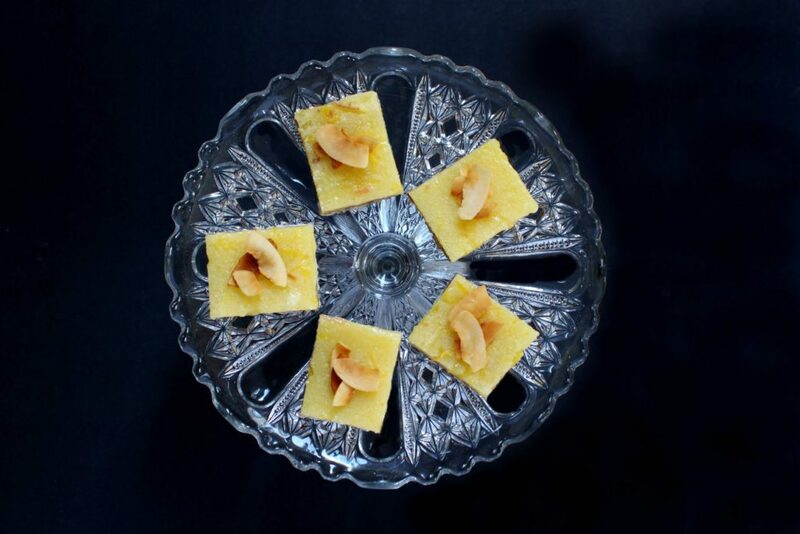 The Coconut Lemon Bars were another story. Super simple to make and very satisfying in flavour in texture, I would recommend bringing these bars to a family get together or potluck because they look impressive and technical but are pretty much fool proof to make (check them out in the video below). Marie’s use of coconut oil in the base was really a genius idea, it really added that extra bit of coconut flavour to the bars. Preheat oven to 350 F. Grease an 8 inch square pan and line with parchment paper, letting it overhang on two sides (this will make it easier to pull the squares out later).FOR THE CRUST: In a medium bowl, combine the flour, coconut, powdered sugar, cornstarch, and salt. Stir the oil into the flour mixture until fully incorporated. 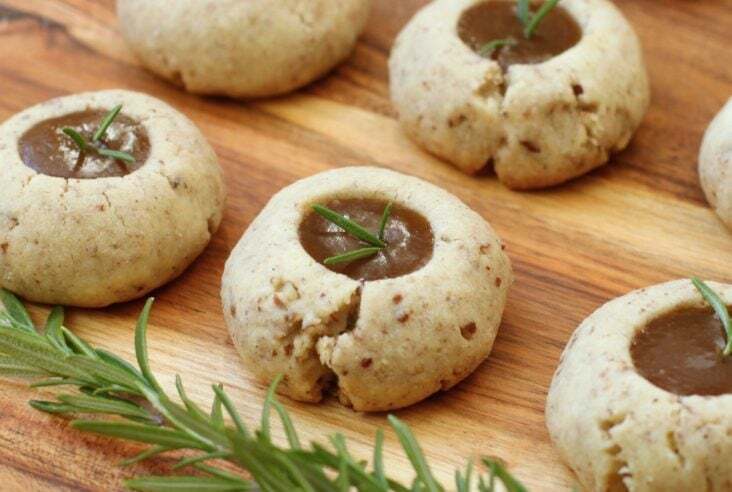 Place the dough into the prepared pan, and firmly press down all the way to the sides. Bake the crust until it just starts to brown around the edges. 15-20 minutes.FOR THE FILLING:In a medium bowl, whisk the sugar, cornstarch, and salt until well combined. Add the eggs, one at a time, whisking until each one is fully incorporated before adding the next. Add the lemon zest and juice; whisk until the mixture is completely smooth.Pour the filling over the hot crust. Bake until the filling is just set, 15-18 minutes. The filling should start to turn golden around the edges, and the centre should be a bit jiggly (it will firm up as it cools). Let the squares cool completely to room temperature and then refrigerate for 2 hours before cutting.Just before serving, dust the bars with powdered sugar and garnish with coconut. I need this book – it sounds great! Best way to incorporate citrus in our place is a little fresh zest to finish out a dish – roasted vegetables, soup, risotto, pasta – it makes everything taste fresh (and reminds me of spring on a dreary day!). Agree! What can’t be improved with a little zest? Thanks for coming by Kim, good luck! I love adding citrus to meat marinades, or onto steamed greens. Citrus desserts are the best! Grapefruit meringue pie or grapefruit bars. Lime and orange zest to waffles, crapes, or pancakes always. Grapefruit Meringue Pie is one that I haven’t made yet but that has been on my list forever! Oh! zest on waffles, I’m totally there with ya! This recipe book looks amazing! I love that there is so many ways to use citrus. 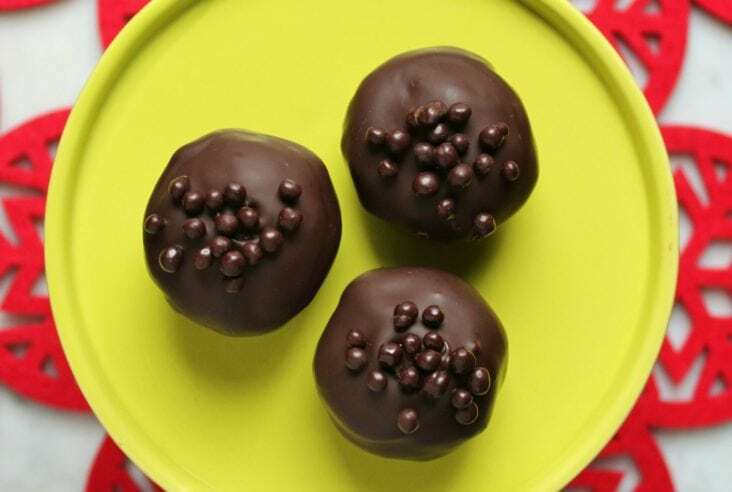 They can really add a little something extra to a recipe, or shine on their own! That is so true! Have you ever just had broiled grapefruit? It’s really amazing how delicious it is. I always told my kids oranges were nature’s candy…not sure if they believed me! It looks like a lovely book. You wrote a wonderful review, Bernice! My favourite way to incorporate citrus is fresh lemon zest on dishes like cauliflower tabouleh or fish dishes or even citrus sand cookies using the zest of lemon, lime and orange, which were very popular at my work. Citrus sand cookies! Oh, that sounds so delicious. 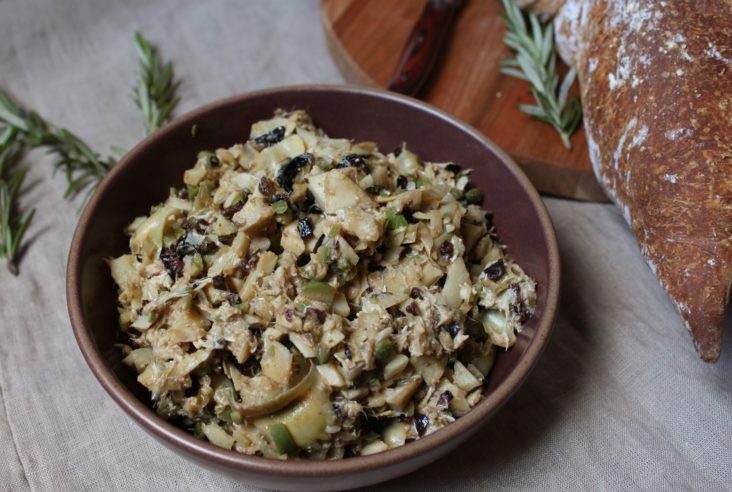 Lemon zest with fish is a winner too, it’s amazing what a bit of zest can do! Thanks for stopping by Denise. I agree. In places where extra acidity through fresh juice isn’t possible…zest is the best! Great review, Bernice! I’m one of those people that loves an orange and chocolate combination. I would love to learn how to candy some peel and use it as garnish. Or make an orange curd to incorporate into some kind of chocolate based tart?! I currently add a bit of fine zest to get my orange/chocolate effect but I’ve got lots to learn! Hi Shannon, thanks for stopping by! This book is definitely for you then. 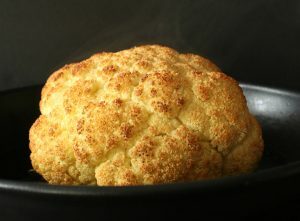 The instructions are easy to follow and there are so many great ideas for flavour combinations. Good luck! I love to use lemons in many dishes from sweet to savoury. I even zest all my lemons and freeze for future use. That’s a really great idea, then you’ll never be without zest! I love a nice moist lemon loaf !